It is quite extraordinary and can be attributed only to a deliberate amnesia but I can never remember that November 22 is the anniversary not just of the physical assassination of President John F. Kennedy but of the political assassination of Prime Minister Margaret Thatcher, the 25th one this year, to be quite precise. And yet, if you ask me where I was when I heard about those events I can describe it in great detail in both cases. Let us turn, instead, to the Thatcher premiership before that assassination; let us turn to the beginning when everything seemed to be going wrong and yet she managed to impose her authority on the party and the government. 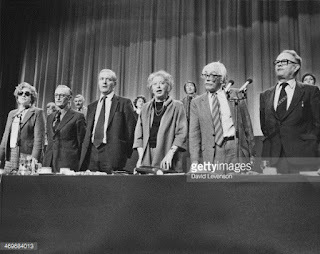 There has already been a reference on this blog to Kwasi Kwarteng's book about those crucial six months from Geoffrey Howe's budget of March 1981 to the party conference (oh happy days when there was only one of those a year) of October 1981 in Blackpool. The book is topped and tailed by a chapter by a Portrait of a Lady and an Epilogue that takes us to the summer of 1983 and the triumph of that year's election. 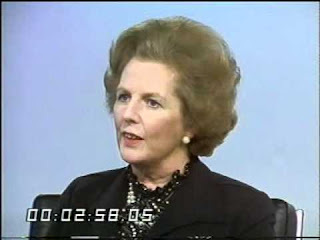 Mr Kwarteng acknowledges that the Argentinian junta did Margaret Thatcher a favour by its invasion of the Falklands but also acknowledges that the landslide of 1983 was not occasioned solely by the Falklands war, which is unlikely to have been fought by any other Prime Minister, in any case. The six months in question were eventful: the March budget, now seen as the foundation of Thatcherite economic policy that eventually turned the country round, was attacked on all sides, including the Conservative. Among other derisory descriptions it was characterized as one that gave no hope to the young and the unemployed, often by the politicians and economists who had brought the country to the economic crisis. which necessitated the budget. Those six months also saw the death of Bobby Sands, the Sinn Fein MP, and other hunger strikers in the Maze, riots in Toxteth, Brixton, Moss Side and one or two other areas as well as a split in the Labour Party, which could have resulted in a genuine social-democratic party that might have been victorious in 1983. But it did not do so. Thatcher's Trial goes through the various events in great detail, something that even a hefty three-volume biography cannot do but there is a problem with it all: one gets the distinct impression that Mr Kwarteng dislikes Margaret Thatcher and would like to side with her various opponents, particularly the wet grandees she eventually got rid of. It is of them that he writes with affection and admiration and it is of her that he is rather dismissive. We hear a great deal about her "uncomplicated" attitude, her very simple religion, her continuing behaviour as if she were a prize-winning grammar school girl (Mr Kwartend is, as we all know, an Old Etonian), her black and white attitude to the world, which is a complicated and delicately shaded affair. 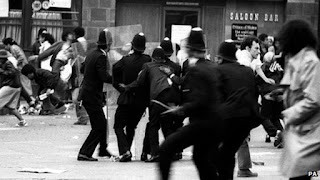 It is not entirely clear why saying that the riots were a matter of law and order and criminal behaviour is rather simplistic and worthy of disdain, whereas saying that spending more government money was politically astute, subtle and complex. Nor can one be all that impressed by Mr Kwarteng's sympathetic attitude to the various opponents of Geoffrey Howe's budget because they were people who cared about the social fabric of the country. Those riots could not have been caused by the less than two years of the Thatcher government. Even David Owen wrote about the problems that had accumulated for twenty years though he seems to have forgotten that for more than half of that period there was a Labour government and towards the end he was part of that. 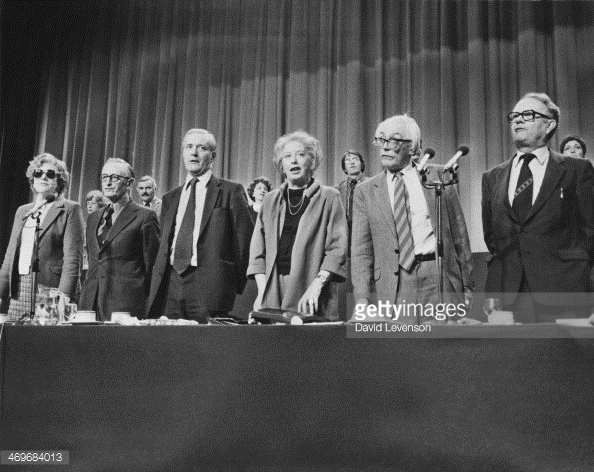 The social fabric of the country had worn very thin, indeed, by 1979 under the great care of those who were wringing their hands at Thatcher's "cruelty" and "uncompromising hardness". The same applies to the problems of Northern Ireland, inherited by Thatcher from three of her predecessors. Even the rule to which the Maze prisoners objected to and, which pushed them into those hunger strikes had been put into place by the Labour government. 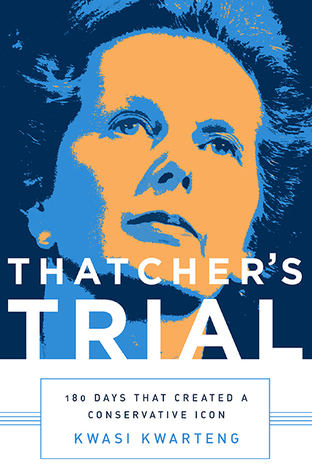 The truth is that Thatcher was faced with a very difficult situation and had to take very difficult decisions. Had some of her predecessors who allegedly cared so much about that social fabric, were more subtle and did not take a supposedly uncomplicated attitude she had imbibed with her Methodism taken some of those decisions, those early months of her government (as well as the later struggle with the unions) would have been very different. She was, however, lucky in her opponents from the "wets" in her own party to the Argentinian junta, from the outdated and increasingly extreme Labour party to the incompetent Social-Democrats. Even Arthur Scargill played it all wrong but one cannot really blame him: he thought he was still dealing with her complex, politically subtle. intellectually broad-minded (or so Mr Kwarteng will have us believe) predecessors. If one can put up with the author's rather unexpected attitude to his subject one finds a great deal of interest in the book. Mr Kwarteng has done his research and has shaped it into a very interesting, fluent account. Higher praise one cannot give.